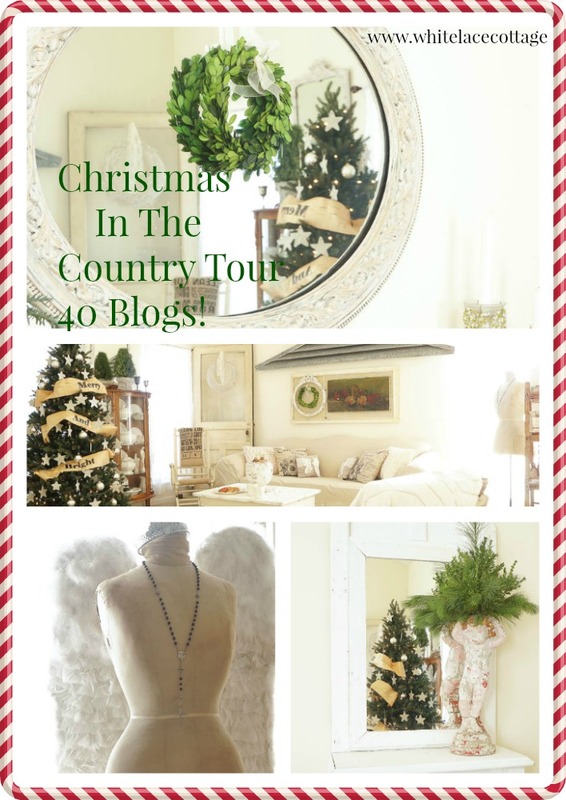 Hi and welcome to our home,I am thrilled to be a part of the Christmas In The Country Home Tour! 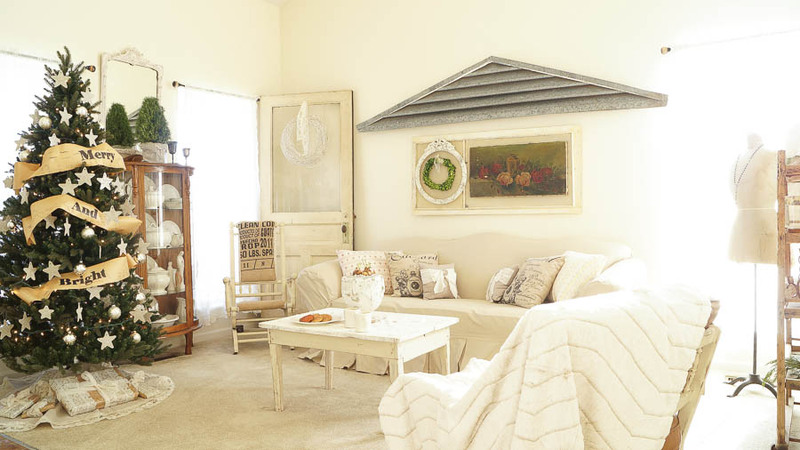 I along with 40 other bloggers are opening up our homes to share with you our Holiday decorated homes. I am so glad you could stop by today! Now as many of you know,well maybe you don’t all know but I started my decorating a little early. And not only that but I decided to make some of my own ornaments and a few tree skirts this year too! The star ornaments on this tree were made from silver poster board,and sprinkled with German glass glitter,and the paper banner was made from vintage music roll paper. 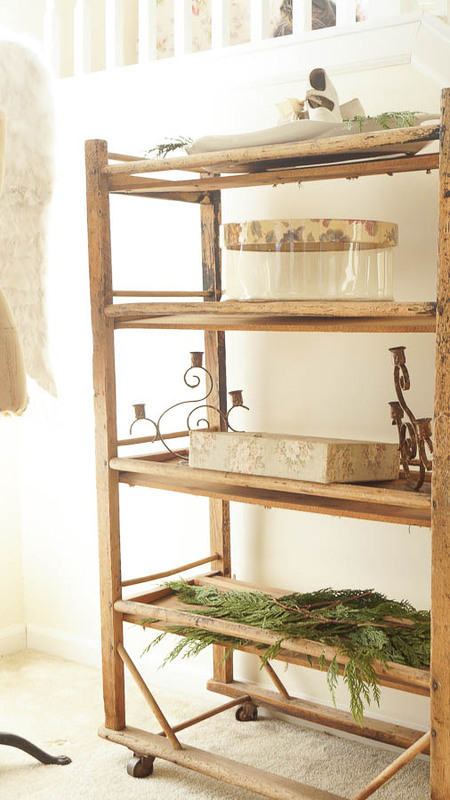 The tree skirt is a no sew tree skirt made from painters canvas and lace trim. You can read about the German Glitter Ornaments HERE,the Tree No Sew Tree Skirt HERE,and the Paper Banner HERE. Then I just added a few silver ball ornaments to fill it in a bit. But as you can see I don’t go too crazy decorating my tree,I like keeping it simple. I still like to see my tree,not just my ornaments. You will see several of these throughout my home. And in this same room I added a smaller one,just hanging it from my mirror. I love mirrors and the reflection of light. Another thing I don’t like to do and one of the reasons I like to keep my holiday decor simple is that I don’t like moving everything around,or changing everything. I used to change my whole house around just for the Holidays and it drove me crazy. Now I add a few things,and move just a few pieces but in general it’s pretty much the same with my Holiday decor added in. Like this chair,I decided to enjoy it indoors and add it next to my tree. This French bistro chair was out in my garden over the summer. I have a pair,the other chair is out on my front porch. This chippy shabby piece was out on my porch too. I love enjoying this piece indoors with just a bit of fresh greens too! A French basket tucked under this piece with more fresh greens. Simple and yet so pretty too! 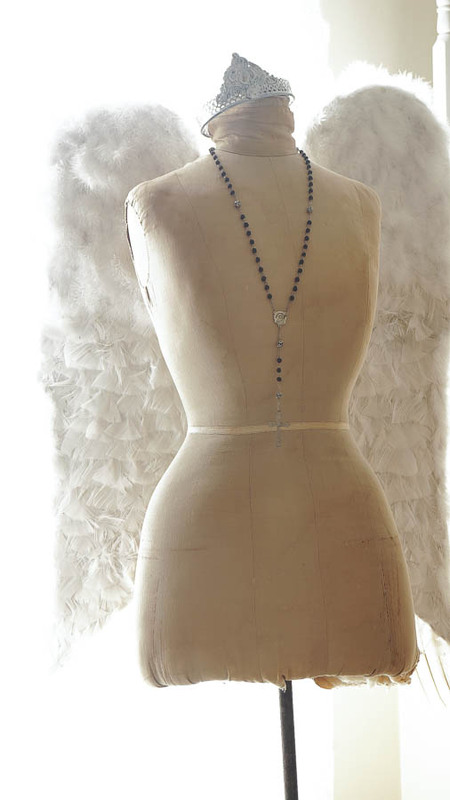 I added these Angel wings to my mannequin. A good time to find these wings cheap is after Halloween. I found mine last summer while shopping with my daughter at a kitschy shop. Another garden piece,this time an urn,I am growing my Paperwhites. I just added an old bowl and marble rocks. Because this urn has a hole for drainage I needed to add the bowl inside. Love my rosemary plant,it smells amazing. I purchase one every year,and usually they make it past Christmas,but every year I am hopeful. I added just a few greens to my wood baking rack. This is always a fun piece to decorate. I have so much more to share,but I am a part of several home tours so you will just have to wait to see the rest. 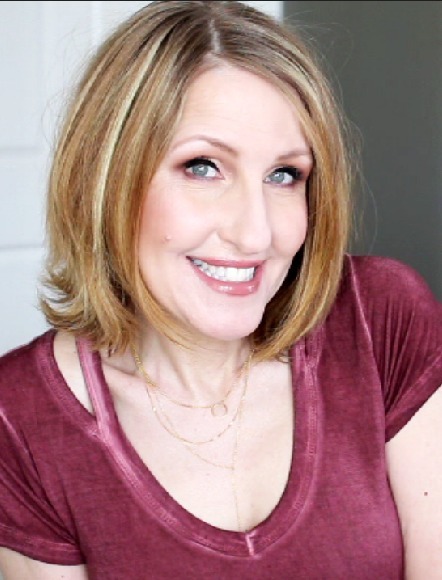 But in the mean time please check out all of these other fabulous blogs. I am sure you will be inspired as I am! very pretty room Anne! I love your tree. And now that I see how you’ve painted that door to the room, I’m considering repainting mine… sheesh. You have done a lovely job of decorating, but OMG! What did you do with those wonderful wings you had flanking the mirror in the living room? Are you considering selling them? By the way, I just bought those cherubs today. I am hoping to use them in my Christmas decor. How long do you think it will take before you ship them? Thank you! Your home is beautiful! I bought a rosemary plant one year and after Christmas we planted it in a corner of our yard. It is huge now! I went out to pick some for decorating this week and it’s blooming. Just love your style of decorating. Thank you you so much Mary! WOW that is awesome that your rosemary plant is doing so well! You must have the perfect spot for it! 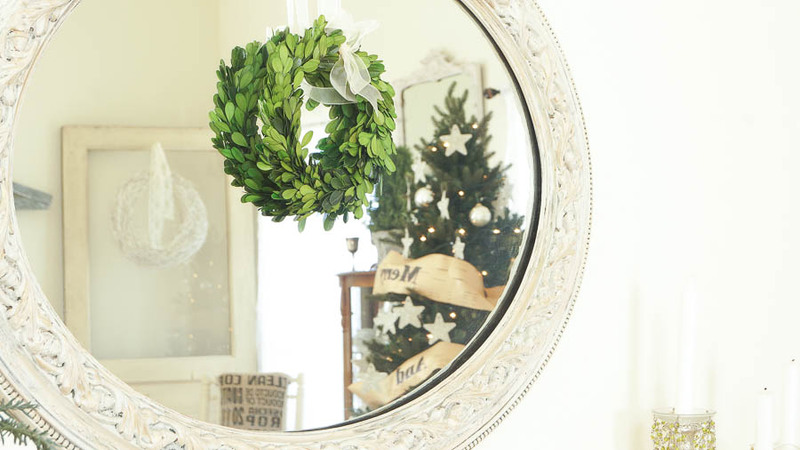 Your home looks so pretty in its simplicity for Christmas! Thank you so much Mary Alice! It all looks gorgeous. Love love your tree. So pretty. 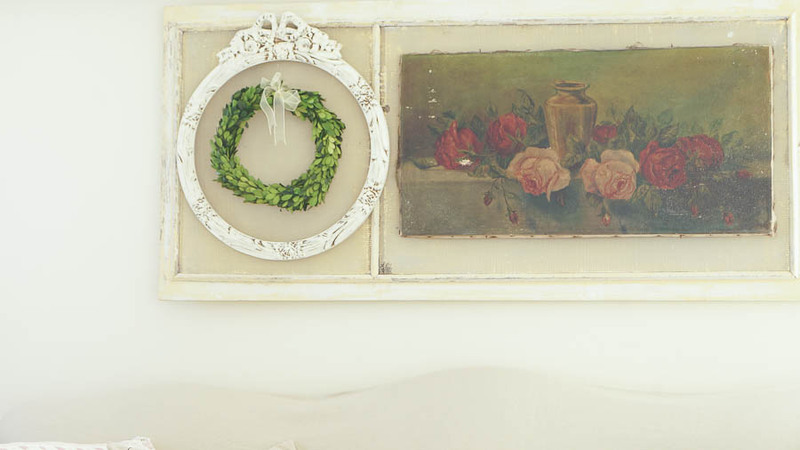 Your rooms look very pretty decked out in vintage Christmas pieces. 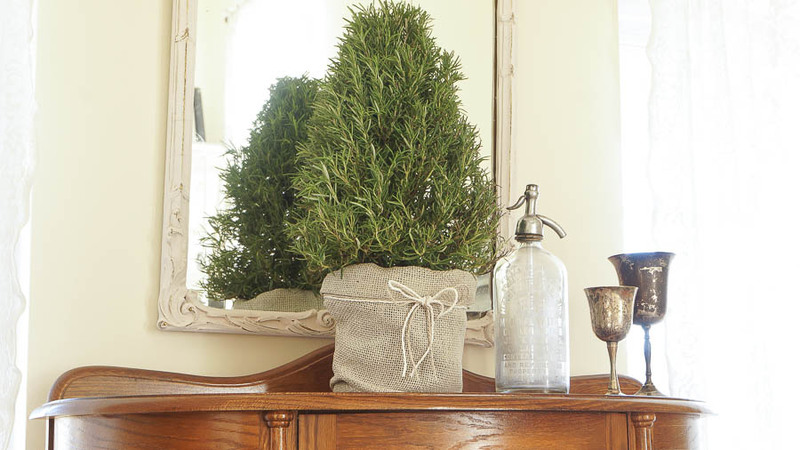 I love the fresh rosemary plant-such a good idea! Thanks for sharing! Everything looks so pretty! I like your natural greenery. The banner around the Christmas tree make such a great vintage statement. Anne, You are so smart to decorate with things in place. I do that in my sunroom, but I have to remove one chair for my tree in the family room, and shelves get displaced to the point where I can’t even remember where I put things! I try to put things all in one place (esp if I plan to bring them back out afterward), but today my husband was my memory bank for a special piece of glass that I could not remember for the life of me! (It was in his bookcase, that’s why he remembered). I used to do that too Rita,and then I started taking photos of vignettes so I would remember where I had everything. Your home looks so beautiful for the holidays! I love all of the fresh greenery and the sweet little rosemary tree! Love the simple decor. But yet it is so stunning. Love your room! I just love all your delicate touches! Just the right note – not overbearing and very much in keeping with your aesthetic. I love the soft greens as they punctuate your decor. 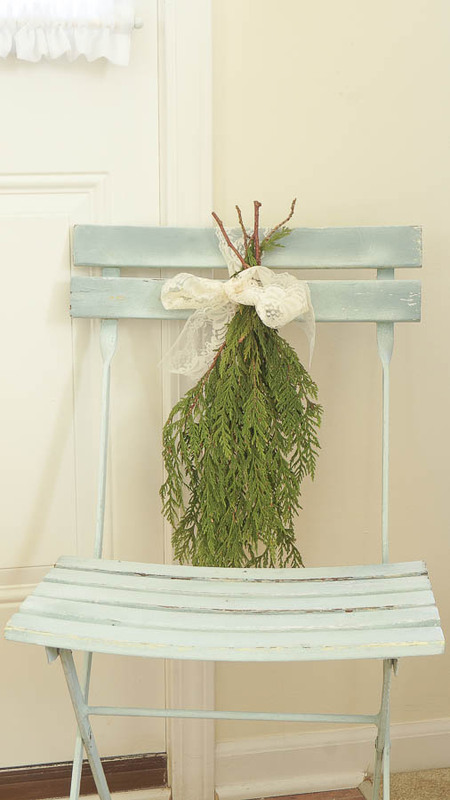 Favorite part – the sweet little bistro chair with the ribbon tied greens. I love your decor choices! and the simple touches that your use. Less is more! and you have done it beautifully. I love the mirror and the picture of the room reflected in it. I have a busy week end, but will be back with a nice hot drink to sit down an re visit your blog! Stoppin by from Christmas in the Country. Thank you so much Dawna! such a gorgeous and cozy home!!!! love your living room especially! I really like what you did for decorating. So many have said they were going the “simple” route. I did as well. I’m like you, when you move everything to decorate it is a mess and time consuming. The last couple of Christmases I just bring up a couple of things at a time. When you undecorated when you have so much, it is work getting things back in place. Mine is simple this year because of the house being on the market and because we will be gone during the week of Christmas. Happy Holidays. Thank you Debby! Best wishes,hope you home sells quickly!